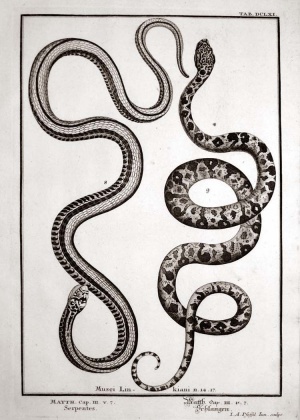 I recently bought this copper engraving by Polish born Scottsman John Jonston, printed in Amsterdam in the mid 17th century. 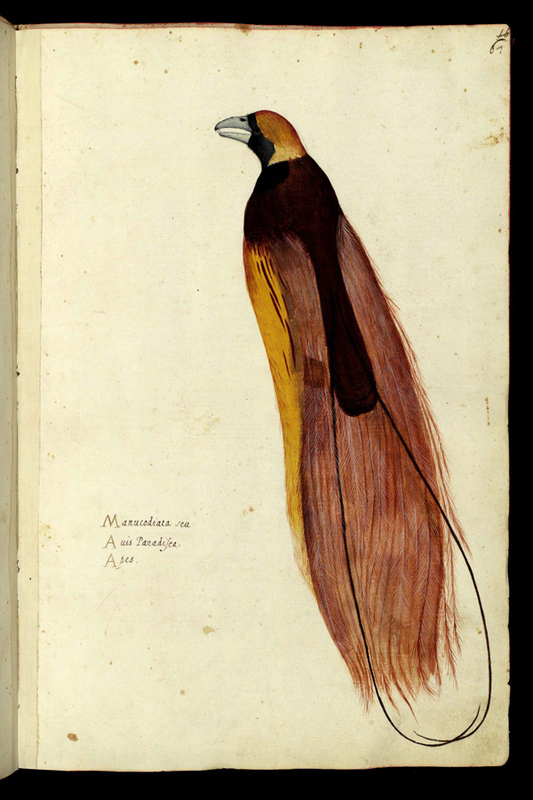 It’s about birds of paradise, mythical creatures, always in flight, living from the suns nectar, much sought after by the Dutch for their fashionable cabinets of curiosity and only known from the legless preserved skins that came through obscure routes from New Guinee. 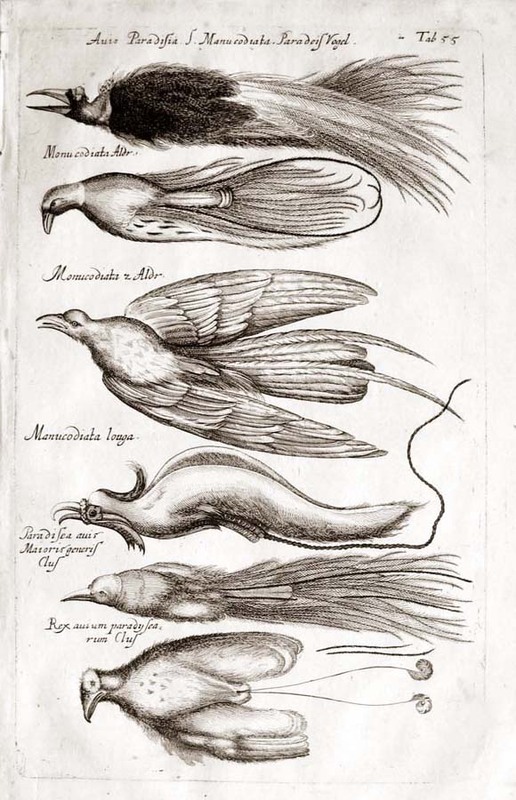 Jonstons birds have no feet either, just as the ones on Ulisse Aldrovandi’s 1599 woodcut he used as example. 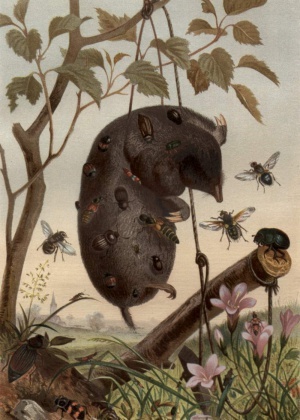 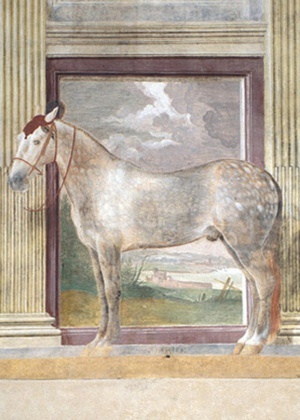 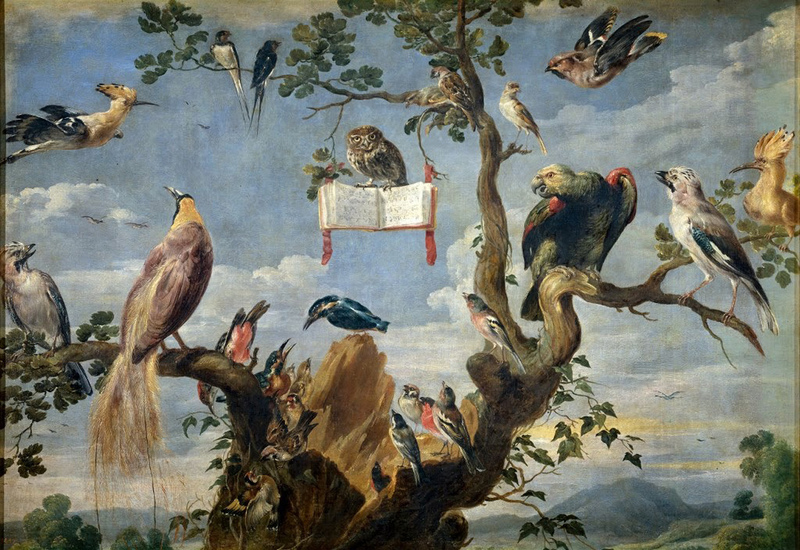 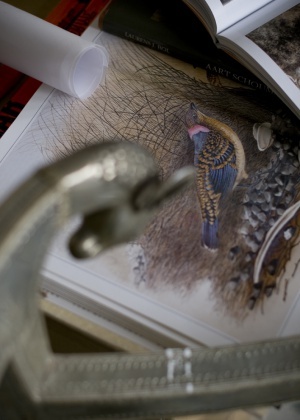 Some of the birds liveliest appearances can be seen on the paintings in Aldrovandi’s 20 years older “Ornotologia” album, probably the first western depictions of these animals. 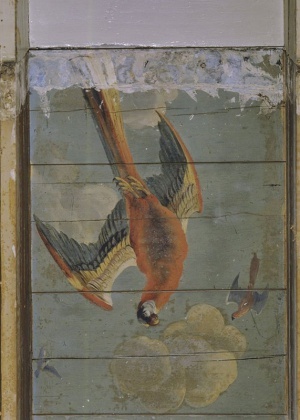 Birds of paradise images remained legless for a very long time. 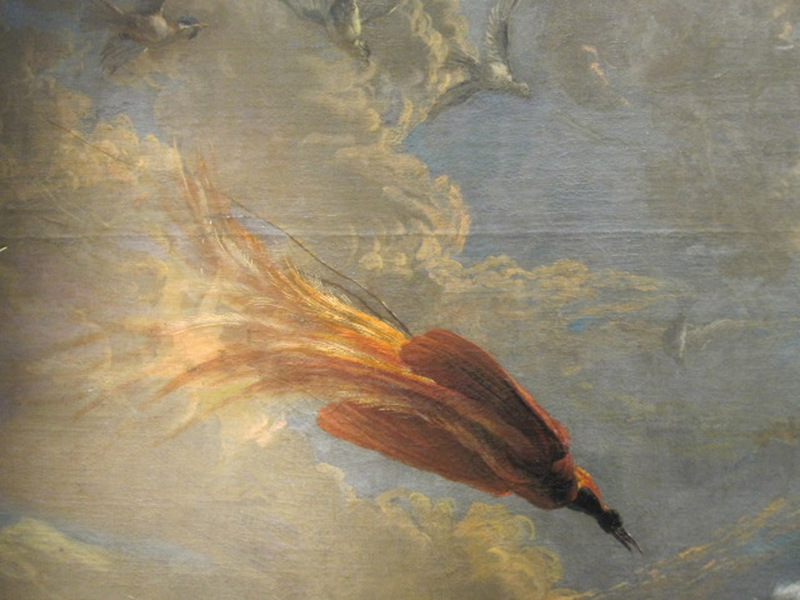 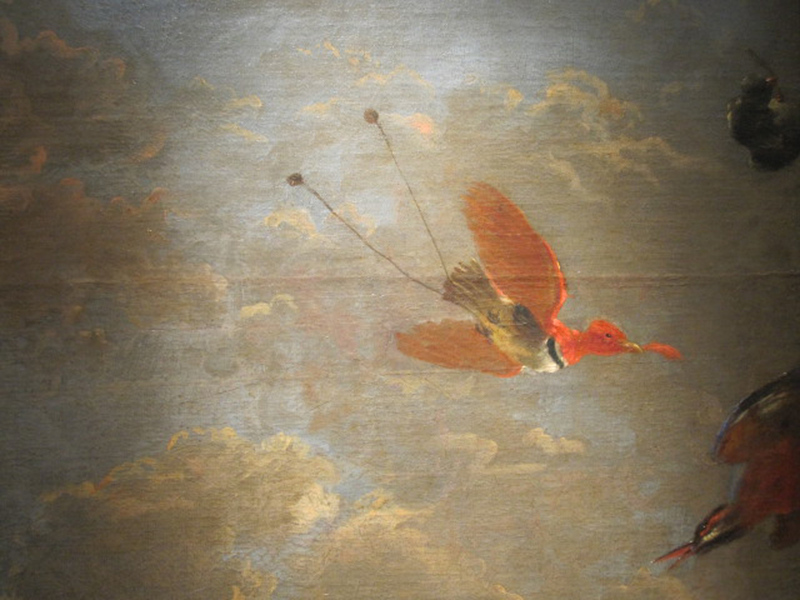 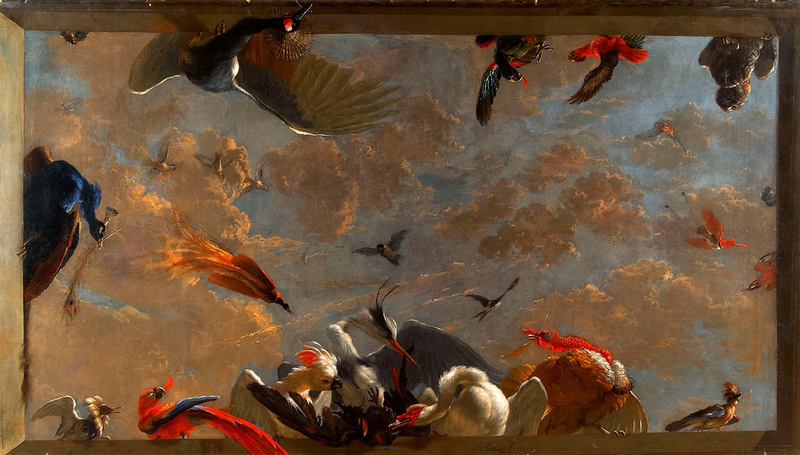 On Maastrichts 2011 TEFAF fair, a 1708 painted ceiling by Abraham Busschop was on sale, still showing a bird of paradise shooting through the air as a leggless preserved skin. 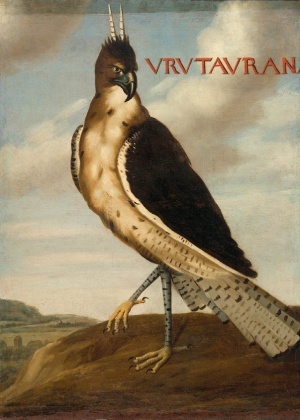 Not everyone had always be convinced though, a 17th c. giant in bird and poultry painting like Frans Snyders just didn’t buy it. 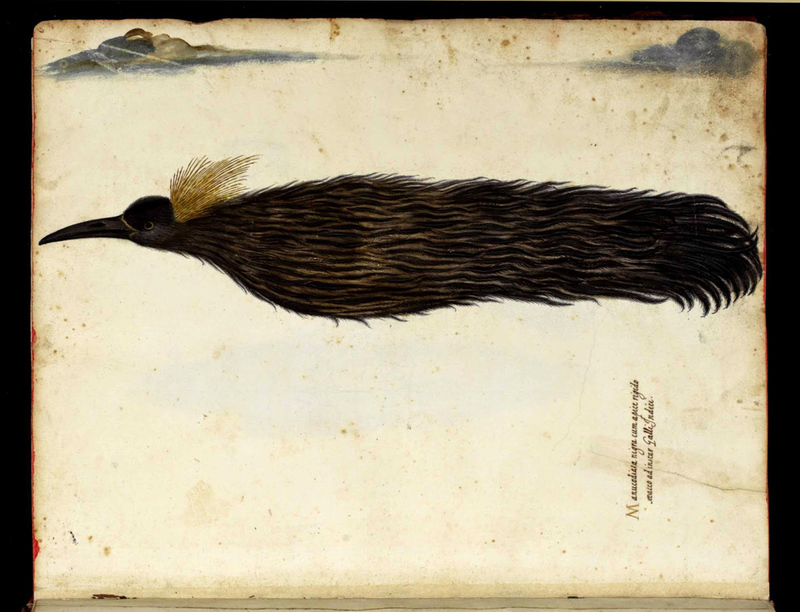 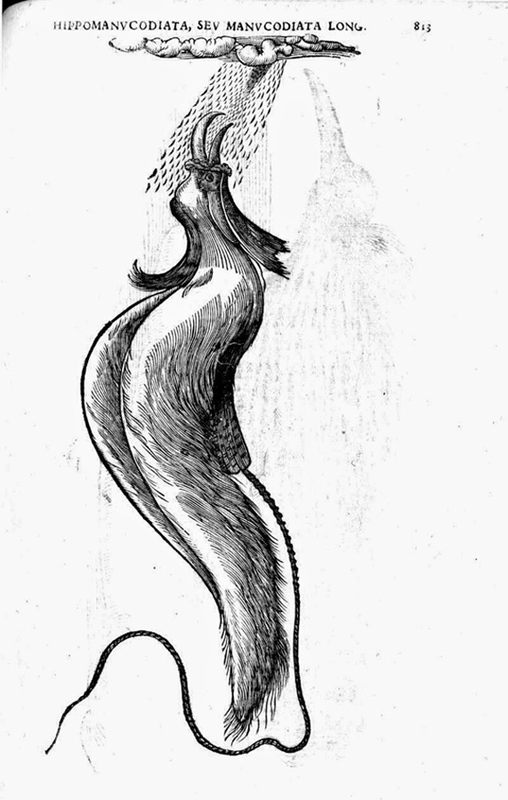 In his 1630’s Birdconcert a Greater bird of paradise can be seen from behind, just sitting on a branch, like a crow.